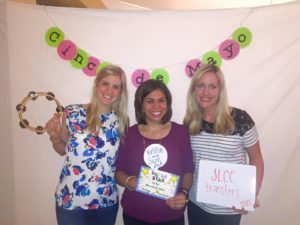 Have you recently moved, or plan to move, to the Collin County area and would like to transfer your Junior League membership? We welcome you to transfer from your former league to the JLCC and we accept transfers throughout the year. As part of the transfer process, you will be assigned a transfer advisor who will help you navigate your transition. She will be available to answer any questions you might have and will communicate your JLCC requirements. We also have many events for transfers, including socials and get-togethers to help you adjust to your new home and new league. To initiate the transfer process, please contact your current league and ask them to transfer your membership to the Junior League of Collin County. Once we receive your transfer paperwork, we will be in contact with you to discuss next steps. Please contact transfer@jlcollincounty.org for questions about the transfer process.